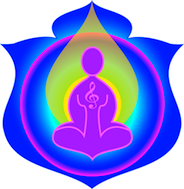 The Stress Music mp3 program was created by placing one hour of beautiful music behind the resonant sound of the Stress sounds. The Stress Sounds are repeated through out the one hour of music for a truly relaxing experience. This is a large file to download 75.2mb – please be patient. Comment from Susan – This series of sounds are lovely. For full benefits, play the Clearing Sounds and Sensitivity first, if you are feeling a bit yucky. Then you can enjoy the full benefit of these tracks unencumbered by any negative emotions, your own or others.